UK Fighter Jet Rides in London. Fly a real fighter aircraft. The Jet Provost is a very successful military jet trainer made in the UK. 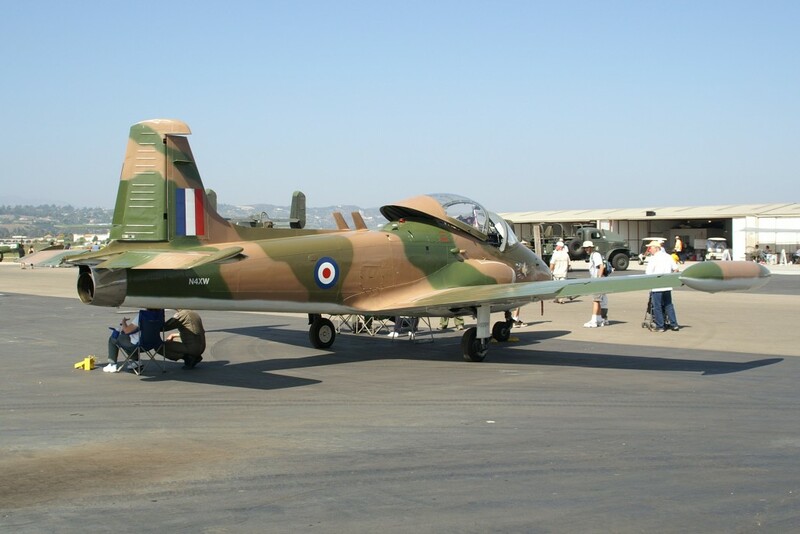 Its twin, the BAC Strikemaster, also and attack aircraft. The Jet Provost is a successful military jet aircraft with almost 750 units produced. It has one huge advantage to almost all other jets on offer: The side-by-side seating arrangement. It is not only much fun to watch your pilot controlling the aircraft – you can also fly it yourself. Another advantage is – of course – the brilliant view. The Jet Provost flight in the UK is the first fighter jet ride available – and we are very happy to offer this flight in the UK – an aviation-crazy island. What’s included in the Jet Provost flight in London? Flight over a fantastic coastal landscape or whatever you are looking for. Custom-tailored program. What does it cost to fly the Jet Provost in the UK? Currently, a 30 minute Jet Provost flight costs £1950 including all preparations, equipment, fees, taxes, video. Longer flight durations on request. What are the requirements fly the Jet Provost? The Jet Provost is a bit a weird looking aircraft – but it makes for a truly fantastic jet flight experience. You’ll surely never forget this fighter jet ride. It’s a British jet, which explains why British aviation freaks love it. And they are right – it’s a superb military jet aircraft. And it is comparably reasonable to operate. As mentioned above – it is a huge advantage that you seat right next to your pilot, and not behind him. And – you can’t do anything wrong. You’ll have the flexibility to choose/change the flight date and you can even change the flight location at no cost. We have a wide variety of flights in Europe and North America. Watch with Youtube App on your Smartphone or Pad – and move it around while watching!